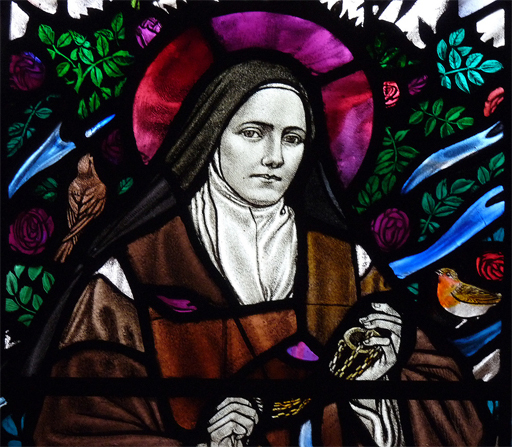 Margaret Agnes Rope, who was born and raised in Shrewsbury, was one of the greatest stained-glass artists of the early twentieth century, and her works can be seen all over the world. Despite her obvious genius, her name is hardly remembered at all; and we hope this exhibition – the first dedicated solely to her work and times – will give her reputation the boost it deserves. The Rope family were prominent in the town before the Second World War, and many local people may have knowledge, or even memories, of Doctor Rope and his wife and six children (of whom ‘Marga’ was one). Marga herself was something of a rebel in her Shrewsbury days – known for her cigar-smoking and for riding motorbikes! However – hardly anything is known of the actual details of Margaret’s life. She left no records, as far as we know, nor did her family. We don’t even know what schooling she received as a child. So, as we prepare and build up to the exhibition, there will be a lot of research and archive-studies into her life and works!